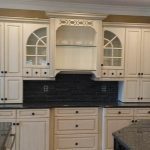 Your Columbus OH Cabinet Painting & Interior Painting Specialists! Amazing work by a team of caring and talented professionals. 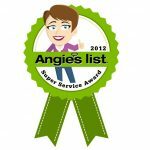 One of the best contractor experiences that we have ever had. Do yourself a favor and hire Joe & JNG. They will treat your home as if it was their own. We hired them to paint our great room and kitchen walls and our kitchen cupboards. We are absolutely thrilled with the results. I can’t thank Joe & Thom enough for their help. We hired them to refinish two sets of stairwells in our home. The finished product looks amazing. 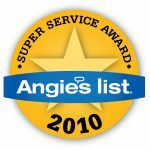 Their attention to detail and quality of service was great. They’re the best painters we’ve ever had and we couldn’t be happier. Looking forward to working with them again in the future! Joe and crew were top notch. Always on time, on budget and delivered amazing service. 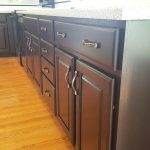 I would highly recommend Joe for any paint job, especially cabinets and trim. We are thrilled with our results. We will definitely use him in the future! We had 6 cherry drawer fronts and 4 cabinet doors that get morning sunshine every day and they were totally fried from UV exposure. 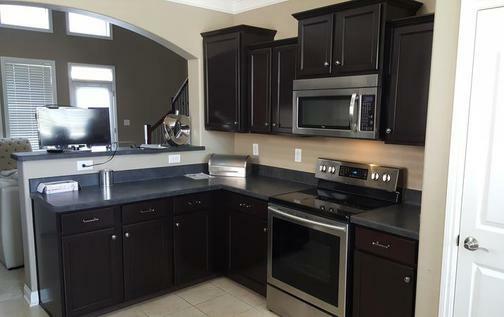 While the entire kitchen looks great, we had these on an island that were just awful. I called Joe and we agreed to a price. I pulled off the doors and drawer fronts and he came by on a Friday to pick them up, along with a sample good one to color match. The following Thursday he called to say they’re done and would I like to have them delivered tomorrow? Wow! 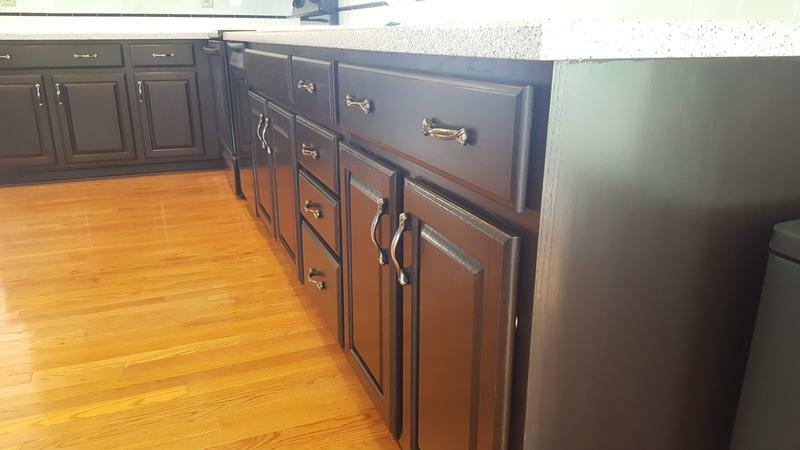 He sanded them down, mixed a custom stain to match and then put on a semigloss layer that’s for cabinets and also has UV protection. I’m posting some pics to show how bad they were before, and 7 days later how they looked perfect. Thanks, Joe! Joe and his team (Tom &Cory) where professional, timely and a pleasure to work with. 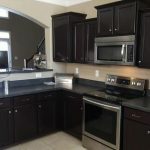 They transformed my kitchen in two days from dark old cherry cabinets to beautiful bright white cabinets that look new. I would highly recommend them. Thanks again! I was very, very pleased with the quality work that Joe and Thom did in my kitchen! 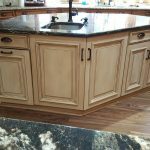 I had the old golden oak cabinetry that I had them paint, and then antique, and I love my kitchen now! And besides that, they are both nice guys! 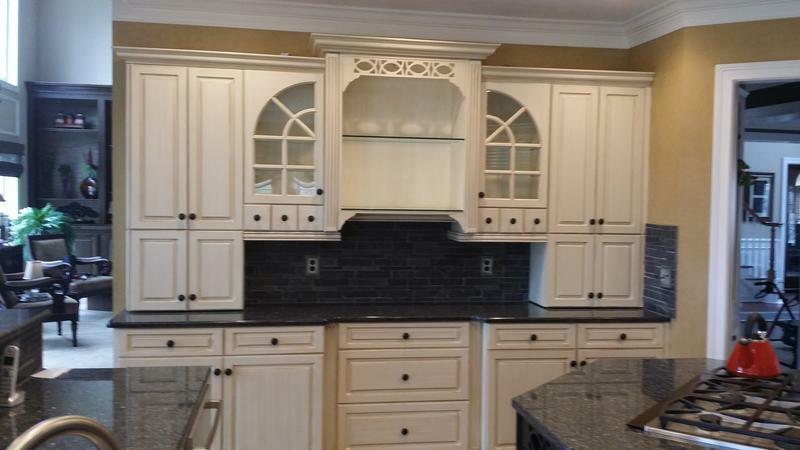 We are so happy with the facelift that Joe and his crew gave our kitchen cabinets. They were on time, on schedule, kept the mess to a bare minimum and charged exactly what his written estimate quoted. I would hire Joe again anytime. 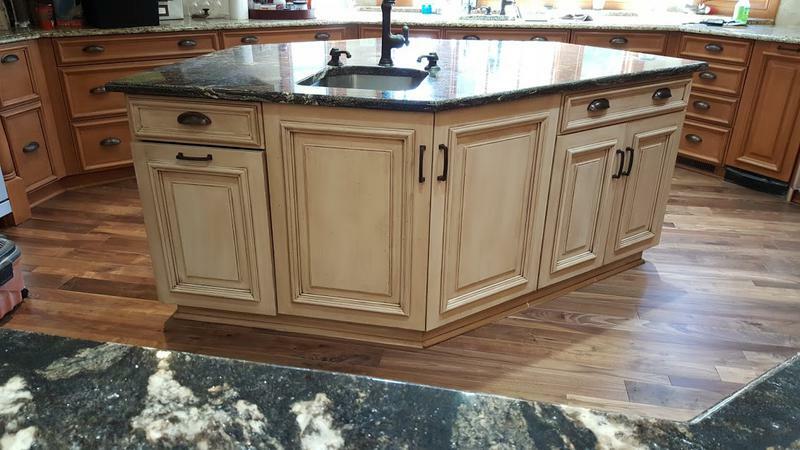 Excellent job with our kitchen cabinets – very professional, clean, timely, and reasonably priced. Joe and his team did a phenomenal job, finishing it on time and our walls look fantastic. They showed up on time, took extreme care with our equipment and made it possible to remain open for business while they did their job. I would recommend Joe to anyone needing a extremely professional painting job done. Joe and his team were great! 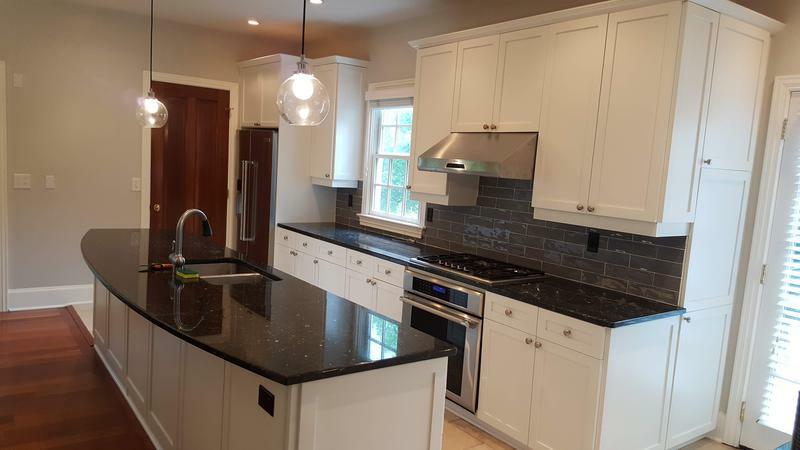 His workmanship is superb, they completed the work on-time and within budget and they are just really nice people to work with. 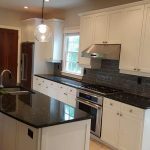 He painted cabinets, trim, wood paneling, ceilings, walls, doors, stairs and banister — and too the time to meticulously prep all of the surfaces well (Joe says that the prep work is the key to a good paint job). 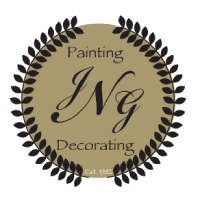 I would highly recommend JNG Painting and plan to use them again when I have more work that I need done. Have We Painted In Your Neighborhood? 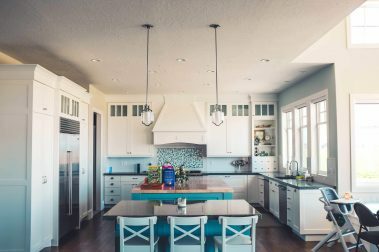 Your Home Project is a Big Deal! It disrupts your life, your routine, whether you do it yourself or hire a professional. We love to make old things look new. The dramatic transformations are so rewarding when we are done and see that smile on your face! 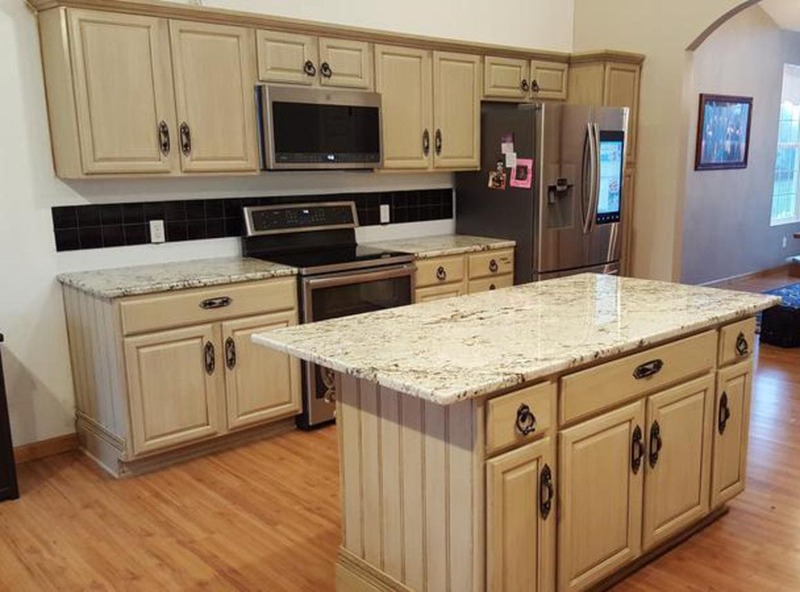 You don’t want just anyone painting your cabinets or a cheap job that reflects the cheap price tag. We work hard for our good reputation and we know it’s on the line every time we start a project. That’s why we won’t short change you with sloppy workmanship, materials, or shortcuts that reflect on our work. It has been said that the price is the amount you pay for a job, but the REAL COST is what you pay when it isn’t done right and you’re unhappy. 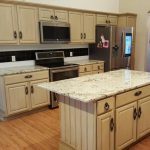 Email or text photos of your cabinets to us. OR- Set up an appointment to meet with salesperson. Get and approve a quote. Meet with color consultant to select color and finish.